No words to describe this motorcycle accident. Granted it’s not a Burgman but it could have been. Burgman’s are just that cool that you could fall off and run your bike down again. Endos anyone? At least we know the Suzuki Burgman 650 can do a wheelie. 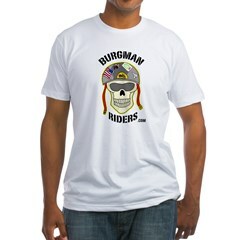 Burgman lovers live all around the world. Here is a very nice video from Israel. This is one of the better video productions I have seen of the Burgman 400 in action. Kudos to the producers for such a fine job. A nice video review of the Suzuki Burgman Executive with a Clearview XL windscreen. This bike has 900 miles on it at the time of the scooter review. You know, I think the most ironic aspects of the Burgman is that some people never realize how fun they are to ride because they feel they have an image or facade to uphold. Dave Netherton, also known as The Smyrna Cowboy, has been an avid rider and prolific videographer of the Burgman. Recently I have a chance to catch up to Dave and interview him. Does the Burgman Have Any Power? This might be the most confusing aspect of the Suzuki Burgman. While it is called a scooter, it is really a motorcycle that can easily cruise above 100 MPH. Neo e Burgman 400 minha diversão! ” Meus brinquedos, nada melhor para relaxar do que vento na cara! Author: rchede Keywords: Neo Burgman 400 Added: June 24, 2008 ” — Comment from person that made video. This has to be one of the best Suzuki Burgman videos available online. It certainly captures the way it feels to ride the Burgman.